Walk, run, swim or just hit your little dance, but move that body and it will bring many benefits to your life. Practicing cardiovascular exercises frequently gives life to the most important organ of your body: the heart. Cardiovascular exercises, also called aerobics, help you lose or maintain weight. But the best part is that they help you to have a healthy life. There are many gyms that provide services for aerobic or anaerobic exercises. But, aerobics can be done outdoors without the need to go to a gym. Many experts will tell you that the ideal solution is to combine these two types of exercises. Aerobic is very important because it makes the heart work because it pumps blood better to other organs of the body, however, anaerobic exercises will help you with toning and strengthening your body as well as bones. It’s always better combining weights with aerobic so that the exercise is more complete. The person who does not exercise is giving their organs the opportunity to destroy them or have less functionality. When you do cardiovascular exercises the larger muscles move. At least 20 minutes of some aerobic exercises are one of the best ways to lose weight. Also, it helps to maintain your weight. It can even prevent some diseases, it lengthens life, but that will happen only with the proper lifestyle and healthy habits. 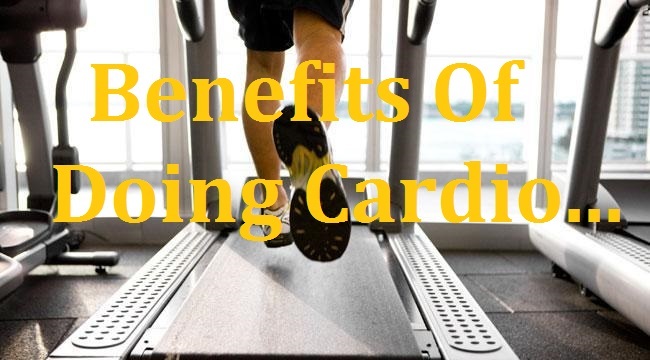 All experts recommend doing cardiovascular exercises three to five days a week, at least 20 minutes each session and even better if combined with weights. For many people who do not have the habit of doing exercises, they must know the multiple benefits to put them into practice. Static bikes: with this, you mainly work the muscles of the legs, but there are also models that allow at the same time to exercise the upper part of the body since they have handlebars that are transformed into a kind of oar. Treadmill: helps increase the strength and resistance of the legs and is excellent for burning many calories. You will get your hip and buttocks to work intensely. Cross-Trainers: they have an elliptical system that avoids the impact and allows the exercise of legs and arms at the same time. Like the previous apparatus, it provides a greater elimination of fats. It is an effective method to combat insomnia. The production of endorphins is increased. Therefore, it reduces stress, depression, and anxiety. They burn carbohydrates and fats. It gives the necessary energy to the body. It improves the immune system, therefore strengthens the body’s defenses. Decrease cholesterol and triglyceride levels. Increase arterial flexibility and reduce cardiac risks. It has proven to be beneficial in reducing the risks of cancer. Increase the secretion of growth hormone. You lose weight because you burn extra calories. If done consistently delays the problems of aging.